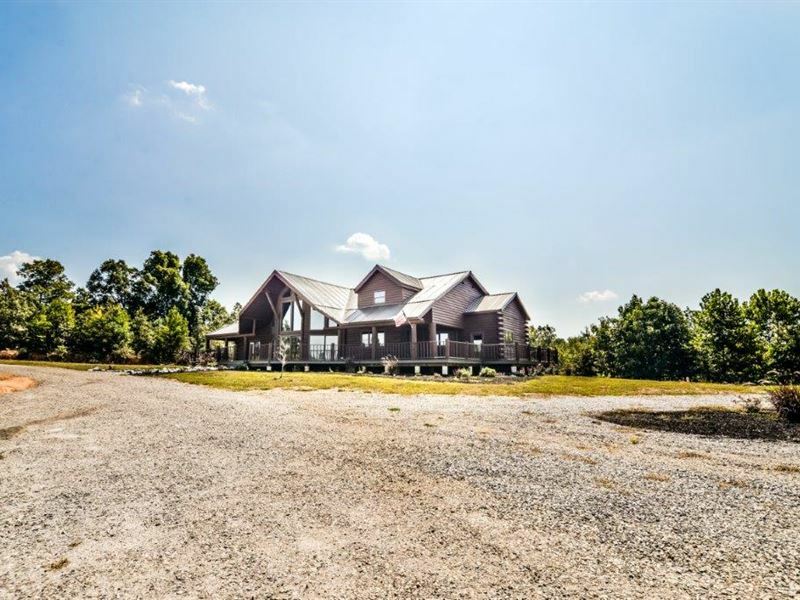 Custom-built log home situated on 20.26 private acres. This is the home or lodge you have always dreamed of. The open floor plan is great for entertaining and large kitchen offers granite countertops, computerized refrigerator and lots of cabinets. Spacious master suite has walk-in tile shower. The loft has two bedrooms with their own baths and a huge game room. There is a wraparound porch to enjoy the outside. The 40'x60' shell barn has been used as a venue for several weddings. A must see.